E-Rate FCC program for faster school, library Internet gets new funding. Internet speeds in libraries and schools lag in many places around the country, even though these institutions provide vital Internet access, often to people who wouldn’t otherwise have it. 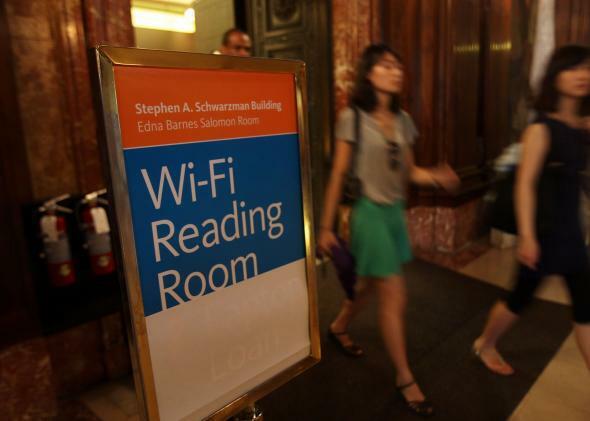 The Federal Communications Commission announced a plan today to double the money it spends on installing faster Internet connections in libraries and schools. The initiative comes out of Obama’s State of the Union promise that 15,000 schools, serving about 20 million students, would get more reliable access. Last year the FCC spent $1 billion on similar efforts, and in 2014 it will spend $2 billion through the E-Rate program, which allocates money from fees collected from telecomm customers. The major goal is allowing schools and libraries to provide reliable wireless networks and faster broadband. As the New York Times points out, a Harris Interactive survey from 2010 found that about half of schools enrolled for E-Rate funding still had Internet connections that were too slow for most video streaming, three megabits per second or less. The FCC’s goal is improve all connections to 100 megabits per second by next year and one gigabit per second by 2020. Additionally, survey findings from the American Library Association show that 60 percent of public libraries fail to meet basic standards for speed. Obama’s commitment and the FCC’s actions are important because schools and libraries are crucial resources for people who don’t have Internet access or need an alternate location to use the Internet besides their home. This concept has taken on special importance for libraries as physical book access becomes less crucial. It makes sense for libraries to repurpose, at least in part, as free and safe spaces for Internet use. But to do that they need to be able to provide solid broadband speeds and wi-fi.